Plum is a 29-year-old, 300-pound woman who is scheduled for weight-loss surgery. She believes that once she loses weight her real life will begin: ‘The real me, the woman I was supposed to be, was within reach. I had caught her like a fish on a hook and was about to reel her in.’ In the meantime, Plum secretly buys clothes for her future thinner self, and works quietly from home at her job of answering fan mail written to the editor of a teen magazine. She hides herself away and grapples with her self-worth, but at the same time Plum is a wry, funny narrator of the world around her. Plum’s life changes drastically when she meets an underground women’s collective. Broader societal changes then begin to happen in the novel, too, as a terrorist group called Jennifer starts unleashing horrific violence against misogynistic men. Dietland is a smart, ambitious debut that takes a few unexpected narrative turns and tackles (with varying degrees of success) some big issues – this isn’t the book you think it’s going to be at the beginning. Dietland has a lot of fascinating things to say about what it’s like to be a fat woman in today’s society. It’s not a safe or simple read, and Sarai Walker doesn’t offer easy answers or cookie-cutter happy endings. There’s no romance in this book – Plum isn’t saved by a man, and she doesn’t find self-worth through someone else loving her. Instead, the novel delves into Plum’s interior life and changing perception of herself, while exploring feminism, violence, the media, dieting, female friendships and women’s bodies. 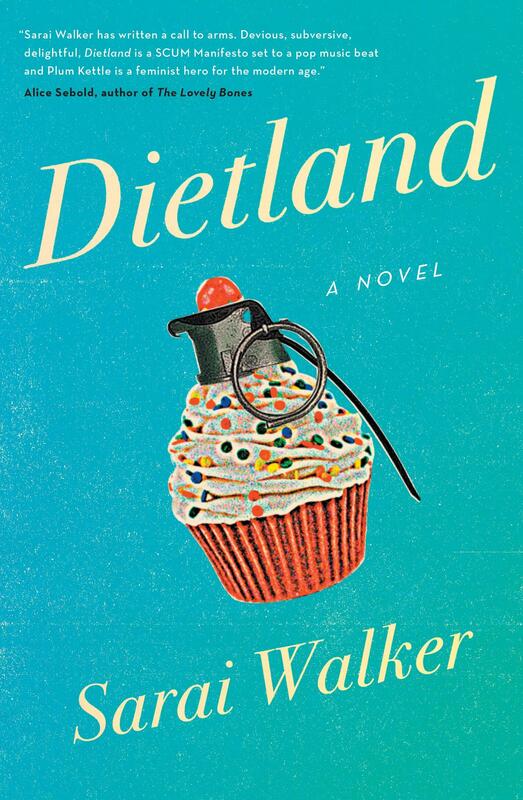 Despite the raft of serious topics, Dietland is highly entertaining and lots of fun to read. Plum is a complex, interesting character and a delight to spend time with. Nina Kenwood is the digital marketing manager for Readings.